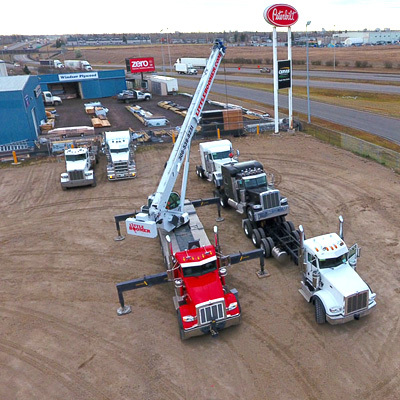 Little Boomer Crane Services Ltd. has been proudly providing crane services to Regina, Saskatchewan and the surrounding areas since 1979. We’re dedicated to facilitating a safe working environment for both employees and customers – safety has never been compromised. Comprehensive training and aggressive safety programs, followed by repeated enforcement, allow us to achieve these safety goals. All our operators are fully trained and ticketed, and our certified equipment undergoes regular inspections by Kova Engineering of Regina. As a result of servicing our equipment regularly and keeping it all in good working order, we have never incurred a loss-time accident or incident—we’ve maintained a perfect safety record. 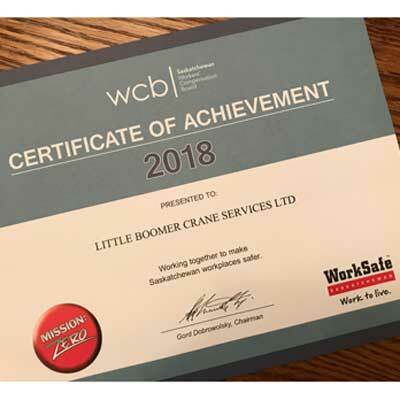 Little Boomer Crane Services Ltd. excels in Incident Prevention and Occupational Health and Safety. It is company policy that Little Boomer Crane Services Ltd. will comply with all local, provincial and federal legislation regarding health and safety. We are proud to have achieved the “Certificate of Achievement” from the Saskatchewan Workers’ Compensation Board and WorkSafe Saskatchewan. We pride ourselves with having the highest level of safety implemented on every project, regardless of the complexity or duration. 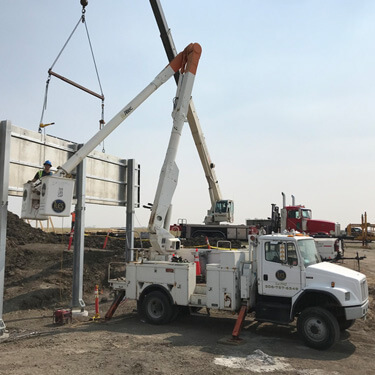 Little Boomer Crane Services Ltd. does residential and commercial work in Saskatchewan to assist with a variety of construction, hauling, and renovation needs. We are available 24 hours a day to accommodate emergencies, and we will schedule services at times convenient for you. Hot tubs, garden statues, playhouses… you name it. 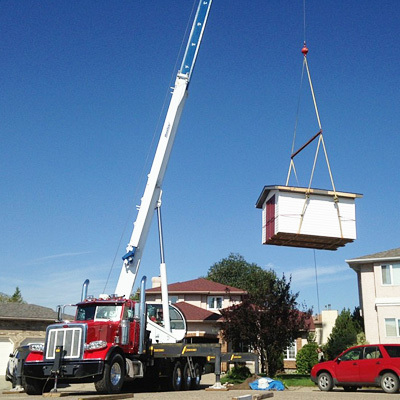 Our certified cranes, equipment, and operators work with home owners & home builders in Regina and the surrounding areas to meet a diverse set of needs. We will bring all the additional equipment and rigging needed to complete your job safety and efficiently. Examples of past residential work can be found in our photo gallery, or on our social media pages. 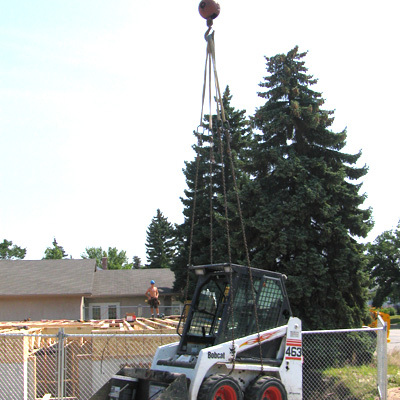 Whether it be hoisting rooftop units, moving job shacks, or hauling commercial material, our professional team works with businesses to accommodate their commercial crane, hauling, and construction needs. We have 35 to 50 ton cranes, flat deck trailers, man baskets, pallet forks, and much more in our fleet to assist with your project. Examples of past commercial work can be found in our photo gallery, or on our social media pages. If you’re moving to a new home and taking large outdoor items with you, or you’re renovating your property, we’ll help you move heavy items. This includes – but is not limited to – hot tubs, sheds, and other portable structures. Whether it’s across the yard or across the province, we’ll get your things where they need to go. Contact us today to find out how we can help with your project. "Helping you get off the ground"